Ho, Ho, Ho, Holy Sh*t!!! The film sees the yuletide monster, the dark companion of Santa Claus, in town with a few days to kill. Some things are better left buried. 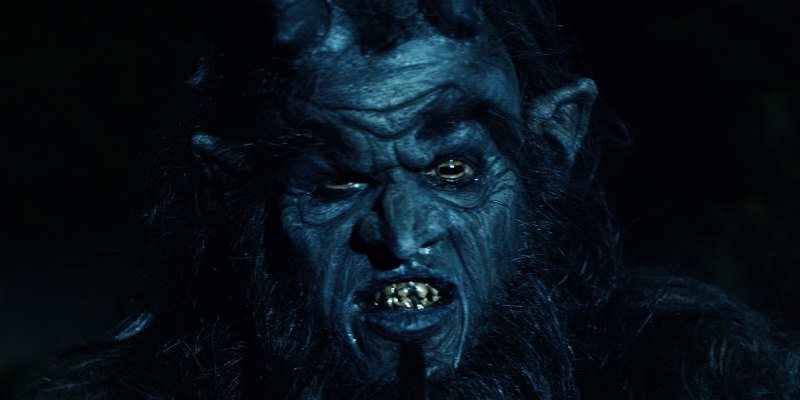 In pursuit of a lost treasure, a group of fortune hunters mistakenly unearth an ancient demonic summoning stone that holds a terrible curse and awakens a timeless evil, the Krampus. After centuries of slumber, Krampus, the Christmas Devil, has awoken with a thirst that only blood will quench. He knows if you've been naughty! From writer-director Robert Conway (Krampus: The Reckoning, The Encounter) comes Krampus Unleashed, going for a Slay November 1st on VOD and December 13th on DVD.